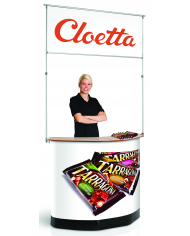 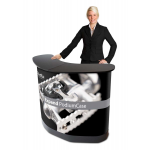 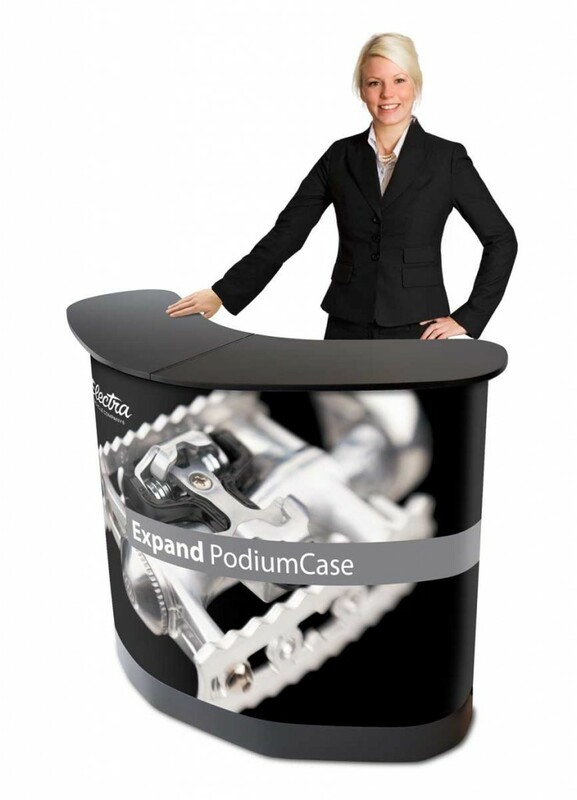 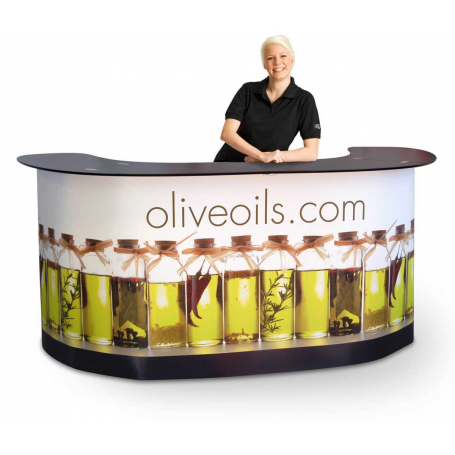 This wheeled exhibition case opens out to become a desk with storage shelves and a graphic which attaches to the front. 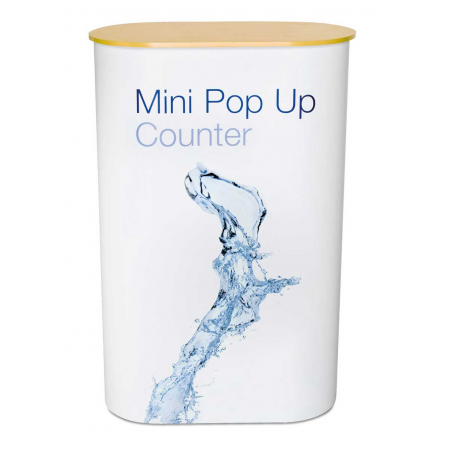 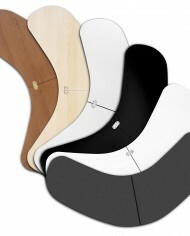 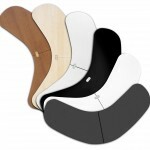 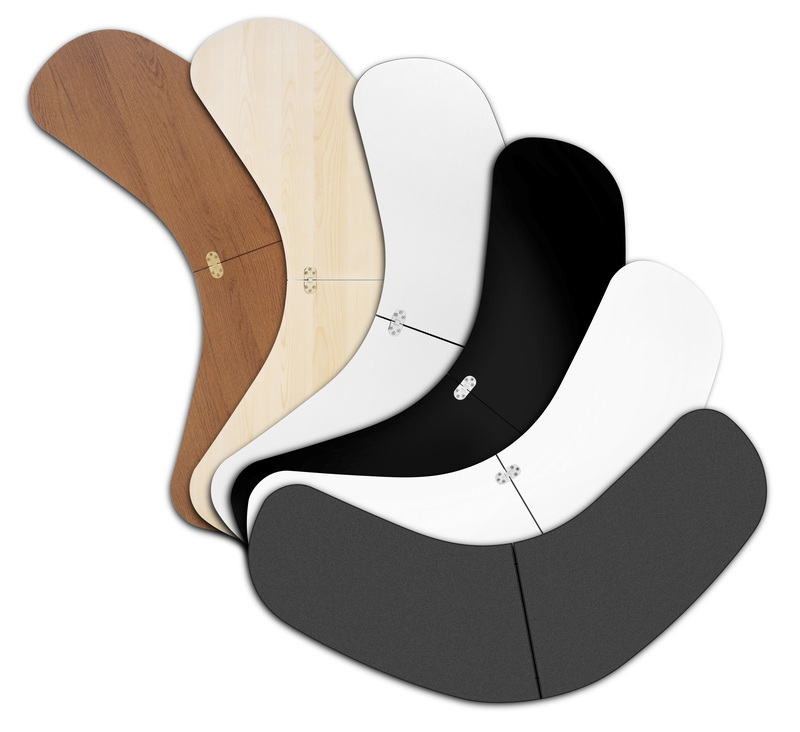 Available with a choice of counter tops including Oak wood, Birch wood, Black, White and brushed Aluminium at extra cost. 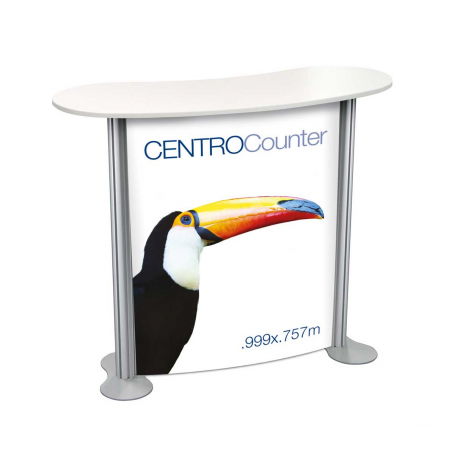 Aluminium counter top, additional £40+vat. 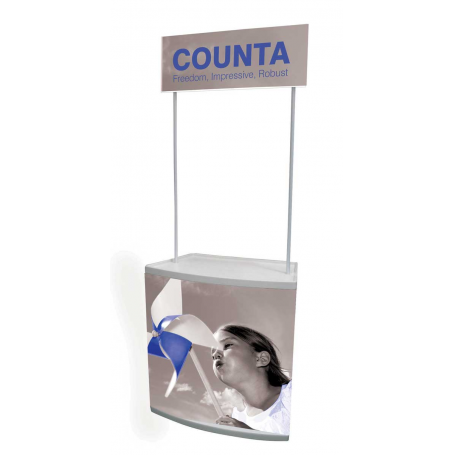 Kiosk / Header kit (excludes graphic) £98+vat. 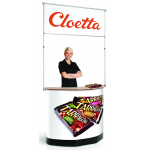 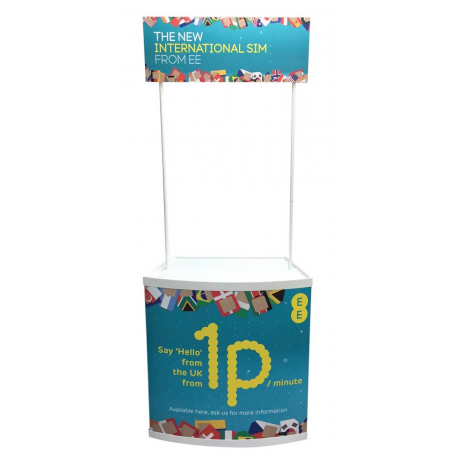 Kiosk / Header Graphic £67+vat. 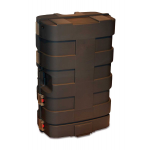 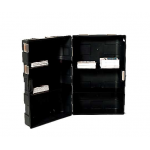 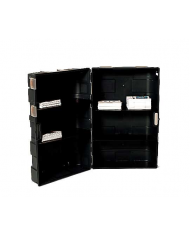 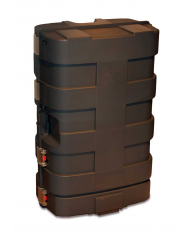 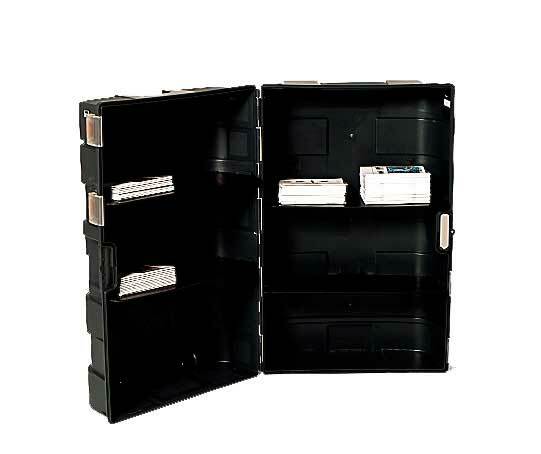 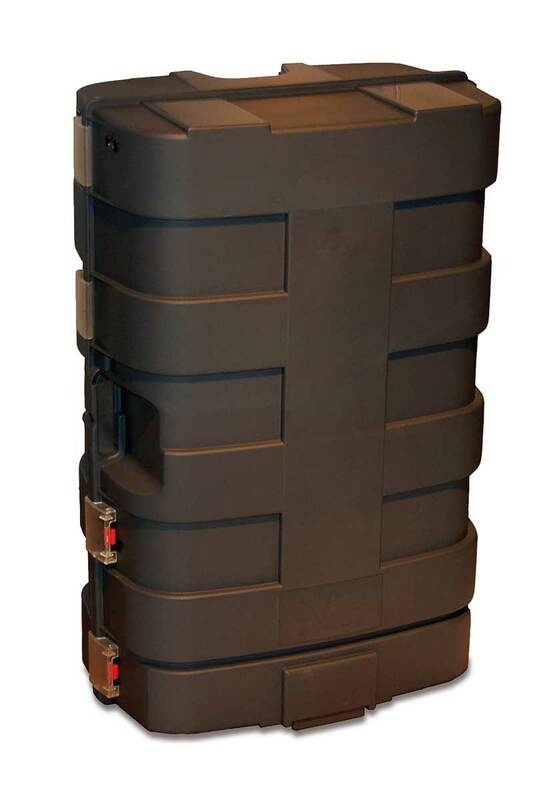 Wheeled case which opens to form a counter. 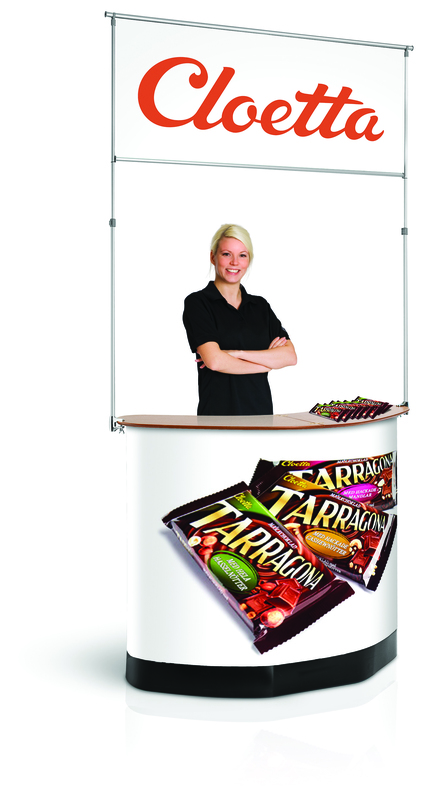 Full colour printed / laminated graphic to front and sides. 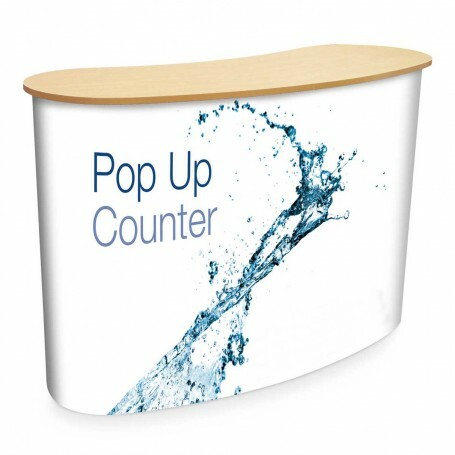 Can be turned into a Kiosk with the optional header panel.